Making a DIY automatic chicken coop door, especially if you work, makes taking care of your hens so much easier. We know that chickens are animals that love routine. They definitely know when to come in at night and come out early in the morning to go on about their pecking and bug hunting. A commercial or DIY automatic chicken coop door is installed to keep your chickens safe from predators at night and to make it easy to let the hens out in the morning. The problem with a simple pop door is that you have to lock and unlock it manually in the evening and at daylight. 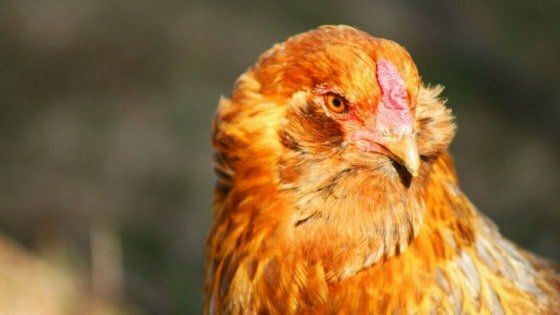 It’s a twice-a-day chore that doesn’t allow you to sleep in on a bed-weather morning or let your hens out as soon as they’re ready (and trust me, they’re ready at 4 AM or earlier). Making or finding a cheap automatic chicken door opener might just be the trick to keep you AND your flock happy. In this article, I show you doors that work well and you’ll also get ideas for your own DIY automatic chicken coop door. 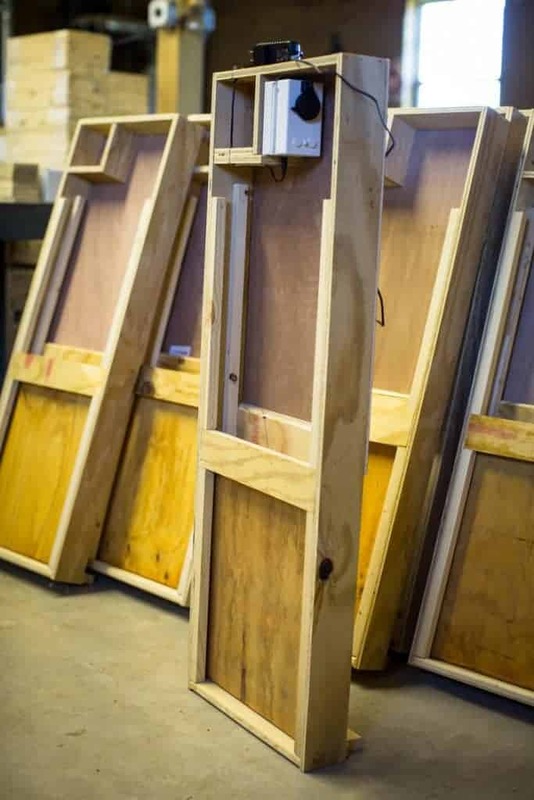 No matter whether you buy a commercial one or make a DIY automatic chicken coop door, the number one thing to remember is to make sure it fits the door of your coop. I was sent one of these to review, and I’ve found it to be one of the best on the market. It’s simple to install, and priced well. You can buy it as a complete kit (yay for easy install) or just buy the motor separately. The coop doors are also made to be all-weather and protected with linseed oil. Each automatic poultry door is individually tested & inspected before it leaves the facility. After speaking with the owner, I learned that they’ve had NO returns in 3 years, and their prototype door still operates after almost 10 years of daily use. The motors are also 100% repairable, so you are never stuck purchasing another motor or door. Since I love one-time investments, that makes me VERY happy! They also have a DIY automatic coop door kit in the event you want to build your own. AutoDoor is one of the most popular chicken coop door builders in Amazon. It is made from heavy duty aluminum that doesn’t rust nor break easily from external forces. The size is very comfortable for your chickens to go in and out with a 1-foot tall and 10.5-inch wide opening. Installation is pretty easy as well with just 4 bolts to screw into the door. It also runs off AA batteries, which is convenient, but given the other options, the price tag of over $200 is a bit high for just a control box. 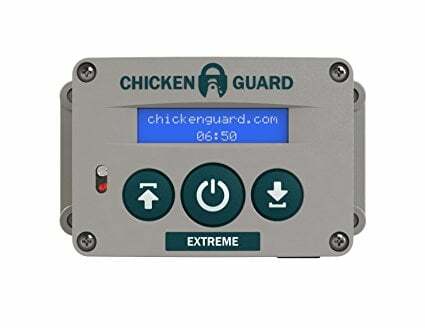 This is another unit (just a unit, no door) that controls a pre-installed automatic chicken coop door, but at $125, it’s an easier to swallow price than the ChickenGuard. You can purchase a metal door separately that’s compatible with the unit. You can also make a DIY automatic chicken coop door and instead of using electricity or batteries, use the chickens themselves! The idea is to use the combined weight of the chickens as they climb onto the roosting bar to sleep at night to pull the cables and pulleys and pop the door open. As it shifts to a lighter weight, the door closes. It’s simple and eco-friendly since you don’t need to use electricity. If you are going for a cheap automatic chicken door opener, this is an option. Since it doesn’t use electricity, if the power grid goes down (or some ding dong runs their care into a telephone poll, which is usually the case in our neighborhood), your chickens can just let themselves out, like the bosses they are. The only disadvantage here is that you need to make sure your chicken flock will actually use the roosting bar. Personally, I would also put the coop door up higher than the one in the video in case they didn’t close it at night for whatever reason. A coop door that low might be too much for predators to resist. Are you “mechanically inclined,” so making a DIY automatic chicken coop door is easy for you, or would you rather just take one out of the box and install? How large is your coop door? If it’s not a standard size, a DIY option might be easier, or you can find a way to adjust the door size. Do you want to use electricity, solar energy, or batteries? Do you want the coop door to be chicken-activated? These questions will help you figure out which option – commercial or DIY automatic chicken coop door – is best for your particular situation. There are plenty of automatic coop doors out there to choose from. But the bottom line is the commercial ones currently available on the market with good reviews are not very different from each other. 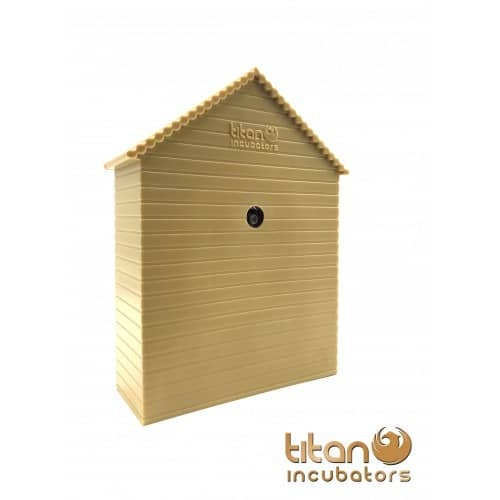 You just have to make sure to choose the right one for your chicken coop. With a DIY automatic chicken coop door, you can sleep safe and sound at night knowing that your flock will still be alive and clucking so lively in the morning. Get yours today! I bought one of these last summer and I don’t know how I got along without it. I have it set to open at sunrise and close at sunset. If I happen to be late getting home or spend the night somewhere, all I have to do is leave them a little extra food and the rest is taken care of. I also don’t have to get up at the crack of dawn to let them out. It was easy to install and pretty easy to program. I use the battery operated door and it has served me well on the original batteries so far, even in the minus temps that we had.